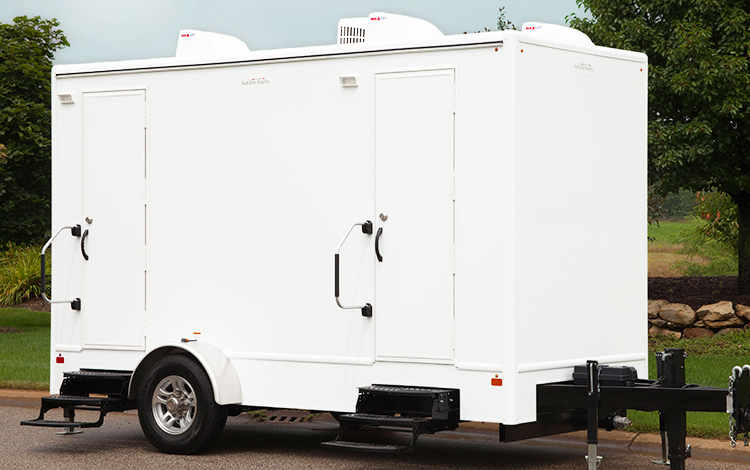 This spacious 4-Station restroom trailer has a delightful interior and enough capacity to provide up to 350 guests a true first-class experience. 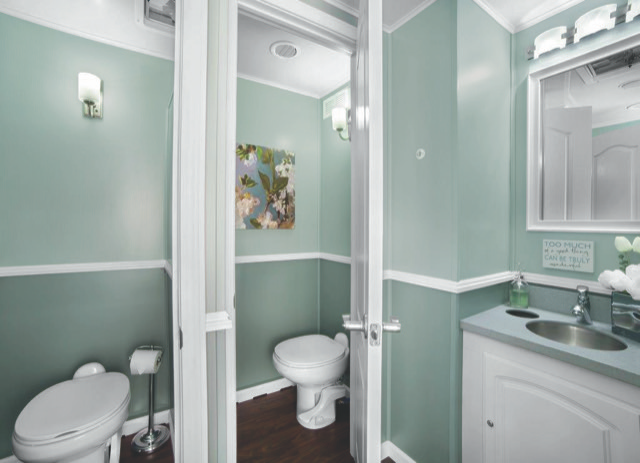 The restroom trailer’s soft interior colors and spacious floor design create a wonderful experience for guests. It is a refreshing atmosphere away from the noise and crowds. 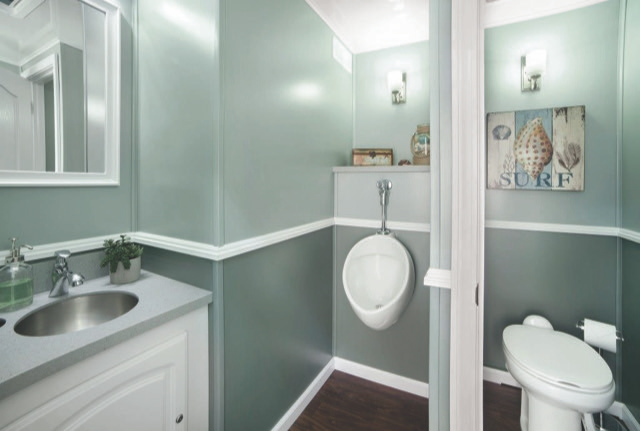 Beneath, on top and around the spa-like interior is a non-wood structure that is lightweight and moisture proof, eliminating the threat of unwanted odors, mold and possible extensive rotting. Many features on this portable toilet trailer will surprise you. They are common sense features with uncommon durability. If you have any question please contact us today.